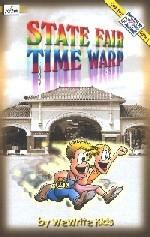 Two children from 1853 stumble upon a time machine at the very first Illinois State Fair. Join them as they travel through time, exploring many exciting changes in Illinois history. 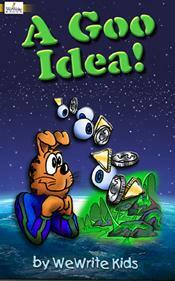 ISBN 1-57635-058-4 #47 A Goo Idea! A Goo Idea! teaches kids basic principles of saving and money management. As the main character, Icantthinkofit discovered, it's all about believing in yourself and learning how easy it is to save money. ISBN 1-57635-057-6 #46 War? I'm Scared! A book by kids for kids, captures the spirit of America in a compelling story. Through the eyes of a dog, the story takes the reader from the first hours of the World Trade Center terror to down-to-earth solutions over a few days. The key message from children, is that everyone can play an important part in making the world a better place. #45 Teens Talk: "Keep Us Drug Free!" ISBN 1-57635-056-8 #44 Let's ALL Have FUN!